Mother Teresa is probably one of the best known modern missionaries of our day. You probably know that she was a Catholic nun who lived in India, living and serving the poor in the slums, but there is SO. much. more to her. Up until very recently, I thought that if I ran into Mother Teresa on the street, she would smile warmly, shake my hand, and say something very kind and gentle. Perhaps she would be a little shy. Kinda grandmotherly. 1. Mother Teresa’s mom and dad had a significant impact on her life. Throughout Mother Teresa’s childhood, she would often go with her mom to bring food and medicine to the poor and the sick. She would often invite needy neighbors to dinner or sick neighbors to live with them. Her mom’s compassionate heart and serving hands had a significant impact on the way Mother Teresa viewed the world. Mother Teresa’s dad was a businessman who traveled widely for work. He would often tell his kids stories of the exotic places he had been. He was kind, lively, and a leader in the community. It’s not a surprise that Mother Teresa had dreams of being an international missionary. In the same way, our actions often have more impact on our children than our words. 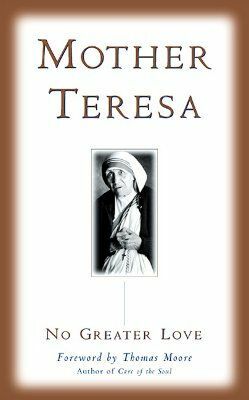 Mother Teresa’s mom not only served and lived sacrificially, but she also brought her kids along with her to serve others. Her dad cast vision of a bigger world– different kinds of people and places. He didn’t just give information that he had read in books, but he shared his real life experiences with his children. 2. Mother Teresa loved the Lord. Many, especially of the evangelical Protestant background, tend to want to downplay Mother Teresa’s work. They think she was “good” but doubt her love for God. Perhaps she was just doing this because of her desire to earn God’s love, they say. But, it’s clear that Mother Teresa was motivated by her love for God. She knew that when she gave a cup of water to the poor, she was giving a cup of water to the Lord. In fact, many people actually didn’t like her and her missionary group because they were afraid that the Sisters were just trying to convert people to Christianity. When we think of sharing the gospel, we don’t have to think of just reciting a set of verses that describes sin, the cross, and the resurrection. In addition, we share the gospel when we serve and love others, especially those whom the world has overlooked or ignores. Jesus was very concerned about loving “the least of these” in action and deed. So should we. 3. 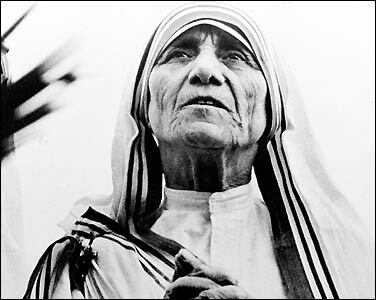 Mother Teresa was a spitfire who didn’t just sit around and let life happen to her. She took the world by storm for the glory of God and for the good of the poor and marginalized. She met obstacles again and again and again, but she used her leadership abilities to create a new organization and to start houses for the sick and poor on every continent except Antarctica. She fought to leave the convent and to live among the poor instead of living comfortably with her other sisters. People thought she was absolutely crazy. What started out as “crazy” turned into “admiration”. People who make a different in someone’s life often are the ones who are willing to do something a bit crazy. A bit risky, whether that be relationally, socially, or geographically. Don’t be afraid to do “that thing” that you hear God telling you to do that just seems….weird. Or “unwise”. Love people radically. God did. 4. 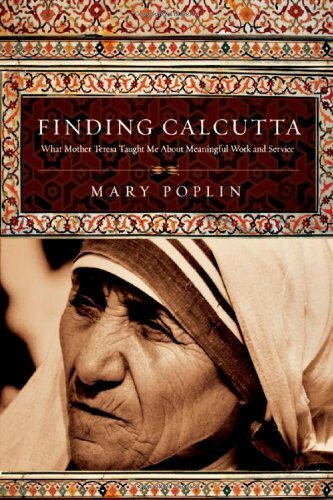 Doubt didn’t stop Mother Teresa from obeying. In the recent years, after Mother Teresa died, it was revealed that she had major doubts. A long “dark night of the soul”, if you will. She felt a deep longing for God, but didn’t feel close to Him. Instead of quitting, Mother Teresa pressed on in obedience. We all go through seasons of “not feeling God”. Sometimes it’s a short season; other times it’s long. I think we can easily feel like doubt means we’re doing something wrong. Or it’s a reason for us to check out; to give up. If this is where you are, keep pressing on, my dear brother or sister.